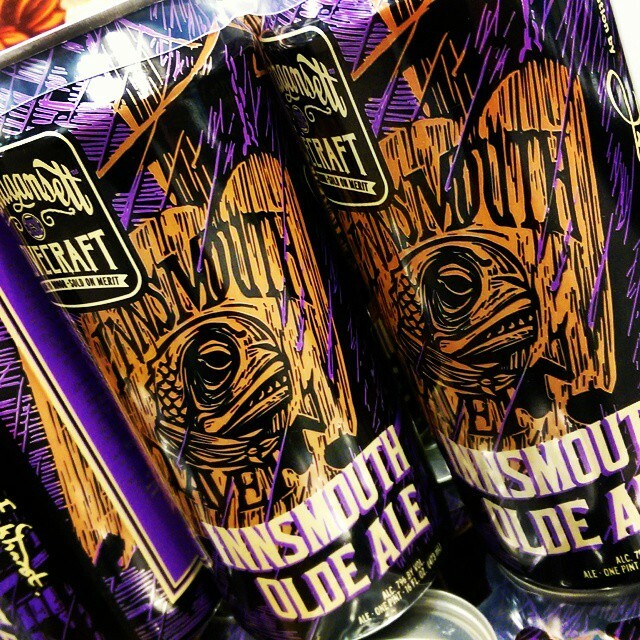 Narragansett Beer has released Innsmouth Olde Ale, the second in a planned series of four fermented tributes to the work of H.P. Lovecraft. The container is designed by Jason Eckhardt, an artist and employee at The H.P. Lovecraft Historical Society. Narragansett celebrated the brew’s April 18 release in tandem with the Rhode Island Historical Society. Artist Jason Eckhardt led a walking tour of Providence, RI featuring places that were important to Lovcecraft’s life and work. This entry was posted in Skiffy and tagged Lovecraft by Mike Glyer. Bookmark the permalink.